Moving on is never easy. Perhaps this is no truer than for Tony Stewart. This week, a grand jury decided not to press charges against the three-time Sprint Cup champion in Kevin Ward Jr.'s death. While Stewart can breathe a little easier, he's still coping with the tragedy and whatever may come next. In a different kind of moving on, 12 NASCAR drivers will advance to the next round of the Chase after Sunday's race at Dover. Every race counts, and it's getting harder to predict who will get cut. It's entirely possible a bad finish at the Monster Mile will ruin a major contender's chance to advance. Four drivers will not get to move on, and you can bet those drivers on the bubble will try their hardest to stay on the Monster Mile's good side. I look at "staying alive" in the new Chase format and more in this week's Five Questions. Will this weekend be a replay of New Hampshire? Let me tell you, the race at New Hampshire Motor Speedway was CRAZY. Not the “crazy cat lady” brand; it was the good stuff. There was a twist with every turn, and the fun isn’t staying in N.H. 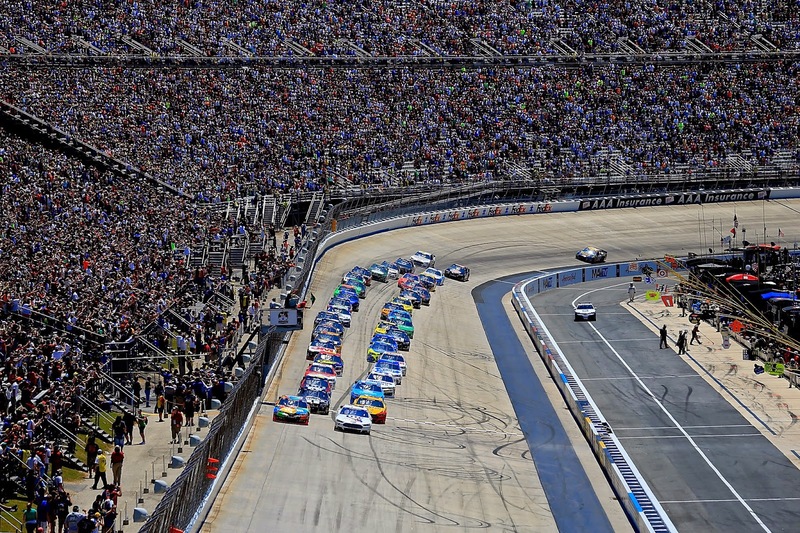 This weekend’s events at Dover International Speedway will be just as captivating, if not more. Because of the cutoff point, everyone’s nerves are jacked up. Any winless drivers in the Chase are in jeopardy of falling out of contention. Nobody can let their guard down, and that makes for interesting results. Who’s ready for some action? Which non-Chaser will break up the party? Over the past two races, it’s apparent that non-Chasers aren’t pulling over (and thank goodness they aren’t). Did you see Kyle Larson, Brian Vickers and Jamie McMurray? Those three were exciting to watch, and they aren’t stopping there. They’re the ones to watch throughout the entire Chase. I just love it when the underdogs nip at the Alphas. Is it me, or is "staying alive" more difficult than it seems? As I mentioned before, nobody can slack in the playoffs. One bad finish, and you won’t be advancing to the next round. I didn’t think it would be that difficult to predict who would get cut. Kurt Busch is in the bottom four? Huh? The whole game has been changed. Maybe it’s not "protect ALL the biscuits" anymore. How impactful is Waltrip’s DWTS endeavor? Has everyone been keeping up with "Dancing With The Stars"? Of course you have, Michael Waltrip is on! The NASCAR owner/driver has survived two episodes, and the real fun is about to begin. However, how much exposure is the sport getting from this stint? I can’t give you statistics or numbers, but I’m positive it’s working. Why? Because any publicity is good publicity at this point. NASCAR will always be at a disadvantage with its stereotype, so they have a lot working against them. If Waltrip’s goofiness and laid-back attitude make people laugh, maybe they’ll tune into some NASCAR Camping World Truck Series he’s announcing. That’s just another positive effect of his appearance on the show. What should we expect now that criminal charges won’t be filed against Stewart? A grand jury decided that Tony Stewart won’t be charged in relation to the death of Kevin Ward Jr. It seems like the end of a long, hard road, although it most likely isn’t. The Ward family can possibly file a civil suit against Stewart, but it’s highly unlikely that will happen. Now that the worst has passed, it's going to be time to heal. Stewart’s had a difficult time coping with this, and that won’t go away. Despite this, I believe he and the NASCAR community can collectively gain strength and survive this aftermath. It’s not going to be easy, but it never is.